I read this article and found it very interesting, thought it might be something for you. The article is called Indian Exports Drop Over Modi Period, Trade Deficit Highest Since 2012-13 and is located at https://archive.indiaspend.com/cover-story/indian-exports-drop-over-modi-period-trade-deficit-highest-since-2012-13-81605. 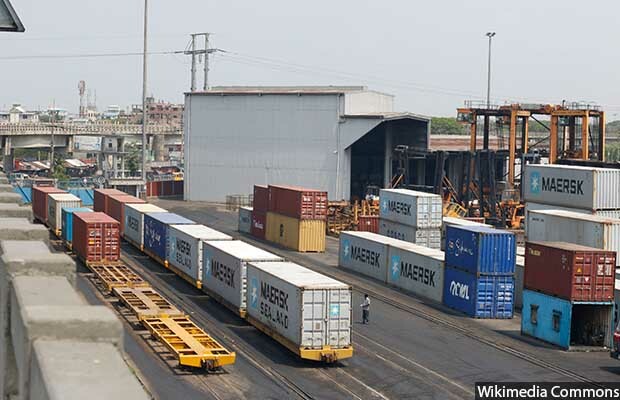 Mumbai: Exports of merchandise–from industrial to agricultural goods–to African countries, Latin America and Japan dropped over the four years of Prime Minister Narendra Modi’s government and grew at single digits to other regions, according to an IndiaSpend analysis of government data. In contrast, over 10 years of the two United Progressive Alliance (UPA-1 and UPA-2) administrations, India’s merchandise exports–services exports are excluded from this analysis because they are limited to certain geographies because of trade agreements–grew between 11% to 33%, the data show. The fall in India’s exports do not follow global patterns–the growth rate of goods traded across the world grew 3% over the four years to 2018 and grew by 3.3%(2009 to 2013)– according to International Monetary Fund. Various experts attributed the Indian export decline to domestic factors, such as demonetisation, a new goods and services tax (GST) and a new bankruptcy code. Merchandise exports to China grew between 2014 and 2018 but at less than 1% while imports grew at 11%; during 10 years of UPA rule, exports to China grew 13% and imports 30%. India’s exports to Africa between 2014 and 2018 dipped by 4.22% and imports increased 1%; during 10 years of UPA rule, exports to Africa increased 22% and imports 59%. Overall Indian imports of merchandise grew by 1.6% to $465 billion over this period. India’s exports-to-gross-domestic-product (GDP) ratio at 11.44% in 2017 was the lowest since 2005, according to the International Monetary Fund (IMF) Outlook Report 2018. Slowing exports and increase in imports (an average annual increase of 1.6% from 2014-15 to 2017-18) has pushed the trade deficit from $137 billion in 2014-15 to $162 billion in 2017-18, the highest since 2012-13. “We are facing serious headwinds at a time when the global economy post 2008 had become extremely fragile,” commerce minister Suresh Prabhu was quoted as saying in the Indian Express on June 18, 2018. India’s trade openness–the sum of exports and imports to GDP–was 27% in 2016, according to the IMF database, compared to an all-time high of 43% in 2012. Trade openness is an indicator of the economy’s participation in global trade. “The first of the policy moves was the unique demonetisation experiment,” Ruchir Sharma, chief global strategist at Morgan Stanley, wrote in The Times of India on October 4, 2017. The view was echoed by economists Dharmakirti Joshi, Adhish Verma & Pankhuri Tandon. “The implementation of the goods and services tax and associated glitches have had an impact, particularly on small and medium enterprises — evident in low export growth in gems and jewellery, textiles, and leather sectors,” they wrote in a report for Crisil, a ratings agency.